As luck would have it, I won a giveaway. No, it’s not an all-expense paid trip to Hawaii. 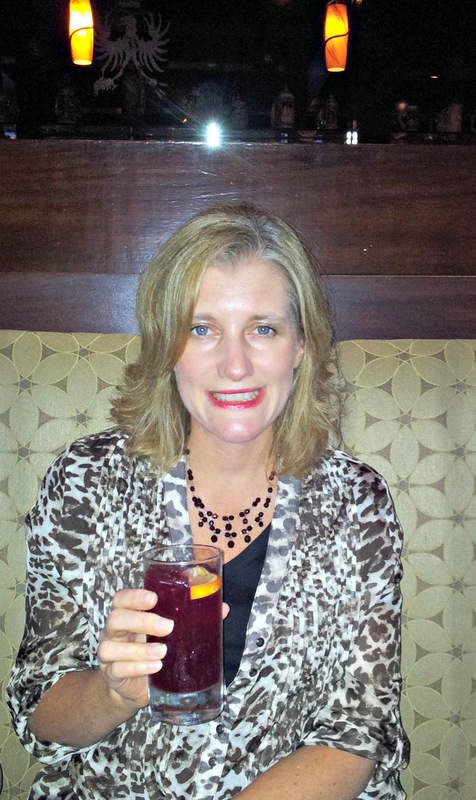 It’s not a designer purse, or a $250 silk blouse that I have tried to win before on my friend Amy's blog. You know! The things that I wish were in my closet, but cannot afford to stock in my own closet very often. I know you are on the edge of your seat with anticipation. But, let me assure it is not a box of gourmet chocolates. Please don’t spit out your pumpkin spice latte when I tell you. I don’t want you to waste any sugar on me. I won the opportunity to get clean, and rid my body of toxins. 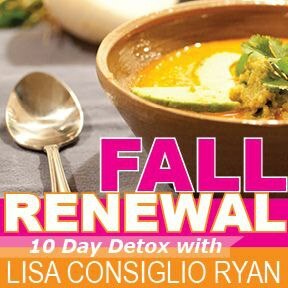 Beginning October 1st, I am going to take part in the online “Fall Renewal: 10 Day Detox” program. I can’t even bear to write this, but the road I’m going down is a road that has no chocolate, caffeine, pumpkin spice lattes, or alcohol. Apparently, just lots of broccoli. Sounds like a picnic in the park, doesn’t it? You know I’m rolling my eyes. Ahhhhhh! I don’t know if I can do it. Ouch! She is taking away everything I love. But, I know I can do this!!! I try to eat healthy, I really do. But, I do have too much sugar, processed foods, and other toxins in my diet. I know that. I think it’s why I’m secretly excited to give this program my all, and work to feel my best. I went out to dinner at J.Betski's in Raleigh on Saturday for a last meal type of thing. my detox is over, I'll be going back to J.Betski's. My food was delicious. My 43-year-old body needs it. Hopefully, it will thank me. It may beat me up in the beginning, but I went through 9 months of pregnancy, twice. This detox has nothing on that, right? After the 10 days, I am supposed to have more energy, think clearer, shed some pounds, and sleep better. Supposedly, my mood will improve, too. PS: I had a conference call with Lisa Consiglio Ryan after I wrote this, and she does not sound mean at all, like a sugar nazi would. She's very pleasant. Now that I've bought my food, I'm ready to start my journey. Wish me luck! I love this time of year. I love to wear jeans again. I love that it gets dark a little earlier so I can be cozy in my house, which usually smells like a pumpkin candle on most nights. I sip a glass of red wine, have my pajamas on by 9:00 pm, and watch a new season of my favorite TV shows. Ah, that is fall to me! 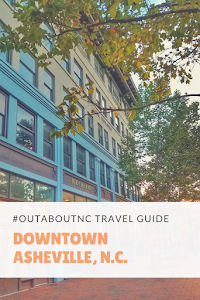 But, I know a lot of my Tar Heel friends like to get out and about in the fall so this post is for you. With the arrival of fall, the leaves are beginning to shade North Carolina in hues of burgundy, burnt orange and golden yellow. Starting with the lofty peaks in the north, color spreads to the south and east in a painterly wash before slowly fading into winter. Here are some ways to experience my home state this fall. 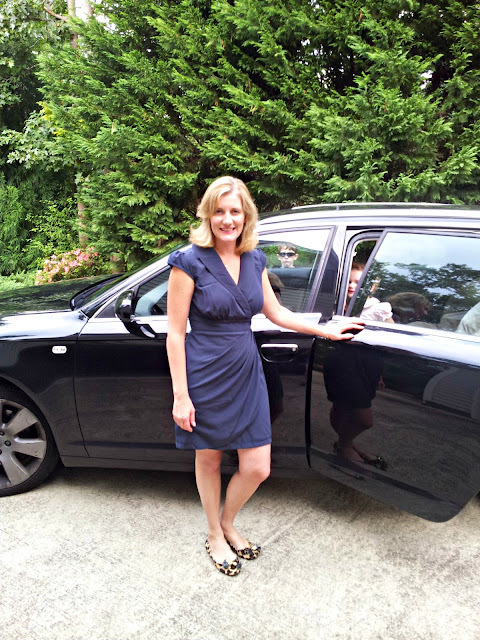 Visit NC gave me some great ideas to share, and of course, you know anything that concerns eating, a spa treatment, and a luxury hotel came from yours truly. Rooftop Touring: After gazing at the vistas along the Blue Ridge Parkway, exit at U.S. 25 North in Asheville, N.C., for a different vantage point: the rooftop of America’s largest home. This sight to behold is the high point of Biltmore’s hour-long Architecture Tour. Bear Hunting: As the harvest sun sets behind Whiteside Mountain, a bear-like shadow emerges from the colorful canopy for 30 minutes every evening from mid-October to early November. Catch the “Shadow of the Bear” from Rhodes Big View Overlook near Cashiers, N.C. 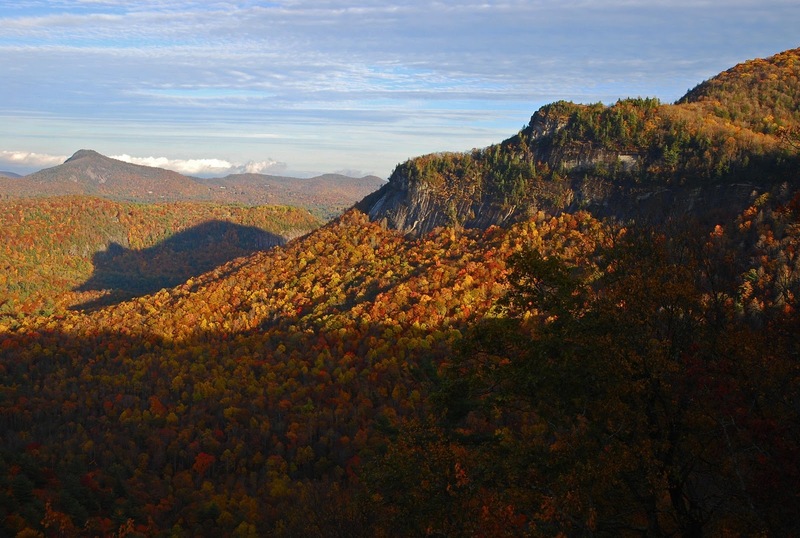 The mountain, with an elevation of 4,930 feet, boasts sheer rock cliffs that are among the highest in the eastern United States. It provides a splendid setting for viewing leaves throughout autumn, especially during the emergence of the bear. Luxury Lounging: And if you are in Cashiers to search for the bear shadow, visit the Old Edwards Inn and Spa in nearby Highlands. 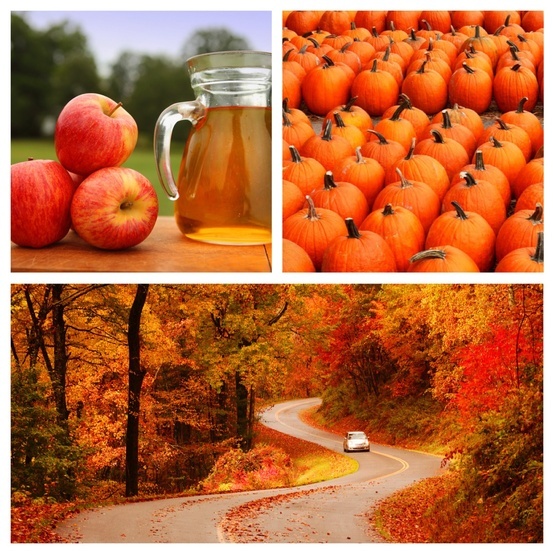 They have some great seasonal spa specials right now such as the Pumpkin-Apple Spice Facial. Ballooning: Drink in the view from hundreds of feet above ground. Carolina Balloon Fest takes place Oct. 21-13 in Statesville, N.C., and individual operators such as Carolina Balloon Adventures take fliers soaring over vibrant woodland hills. Farmers Marketing: Farmers markets offer distinct insights into regional flavors with selections of pumpkins, apples and greens. And the local color is dazzling at Wilmington’s popular Riverfront Farmers Market. And don't forget that biggest celebration for agriculture is the North Carolina State Fair, which runs October 11-21, 2012. Whitewater Rafting: Under the leafy forest canopy, the Nantahala River Gorge creates lasting impressions. Nantahala Outdoor Center near Bryson City, N.C., operates a world-class whitewater canoe and kayaking program. Wine Tasting: Fall harvest presents a reason to celebrate and sample North Carolina wines. 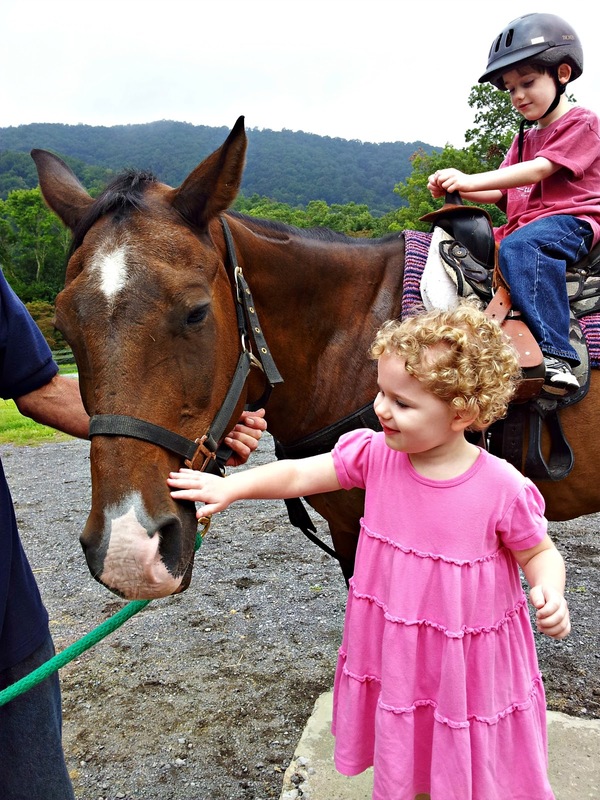 In the flourishing Yadkin Valley wine region, Childress Vineyards and Raffaldini Vineyards and Winery are among the wineries offering tours, tastings and picnic spots with splendid scenery. Ziplining: Experience fall color up close on a canopy tour. 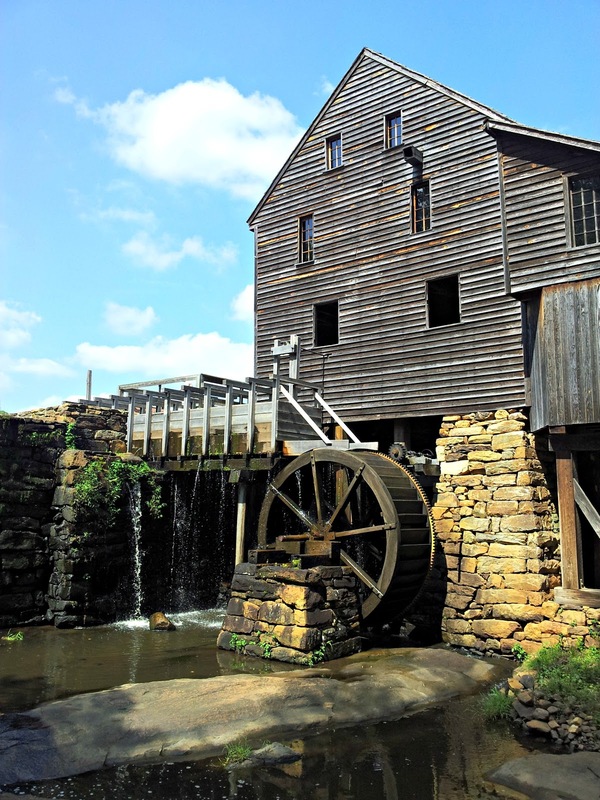 Choose from a dozen or more in the North Carolina mountains or opt for an unlikely destination: Fayetteville, N.C., at the edge of the Sandhills. ZipQuest features eight ziplines, three sky bridges, three spiral staircases and a 150-foot-wide waterfall. Culinary Touring: Wilmington is an emerging dining destination and offers a variety of culinary tours and festivals including the Pleasure Island Seafood, Blues and Jazz Festival (October 13-14); Encore Restaurant Week (October 17-24); the Back Door Kitchen Tour (October 20), and Taste of Wrightsville Beach (October 27). The Inaugural Outer Banks Seafood Festival scheduled for October 20 is designed to capture the essence of what makes the Dare County community unique. Nearly 20 local restaurants have committed to serve their signature dishes featuring only fish and seafood caught along the Outer Banks - resulting in an unmatched "fusion-style" (small portion sizes) buffet from some of the best restaurants on the beach. In addition, local artisans will exhibit and offer their unique creations ranging from hand-crafted jewelry to beach shells and paintings - offering Festival-goers a great opportunity to shop the wares of our gifted artists. 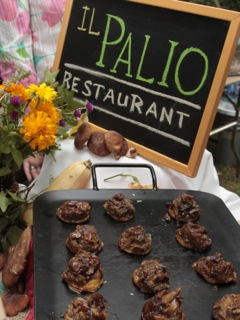 If you love food then you cannot miss TerraVita in Chapel Hill, North Carolina November 1-3, 2012. Now in its third year, the unique event showcases sustainably made wine, beer and spirits from around the globe against the backdrop of North Carolina ingredients and ingenuity. The headliner event, the Grand Tasting on The Green, will take place on Saturday, Nov. 3 from 1 – 4:30 p.m. This event brings together some of the best sustainably-produced wines, microbrews, coffees and spirits and offers them side-by-side with culinary tastings by James Beard-nominated chefs, artisan chocolatiers, charcuteries and cheese makers from across the state of North Carolina. Advance tickets are $65 for the all-inclusive event with a special designated driver/no alcohol ticket offered for $55. Tickets can be purchased at www.terravitaevent.com. In addition to the marquee Grand Tasting, three other events occur during the festival: Chefs’ Harvest Potluck, The Sustainable Classroom, and The Carolina Table: East Meets West Dinner. Visit TerraVita for a full-line up, and costs. Corn Mazing: Gillis Hill Road Produce produces “The ABC’s of NC” – an educational maze for children and adults. Questions about North Carolina are found throughout the 10-acre maze. Only the right answer takes you down the correct path. Wrong answers lead to a dead–end. The ABC’s of NC is open through October 31st. Hours are Monday through Friday from 1 pm – 6 pm and Saturdays from 10:30 am – 6 pm. Location: 2899 Gillis Hill Road in Fayetteville. See you around North Carolina, and my thanks to all of North Carolina's Tourism Bureaus for keeping me in the loop on the latest travels in my home state. 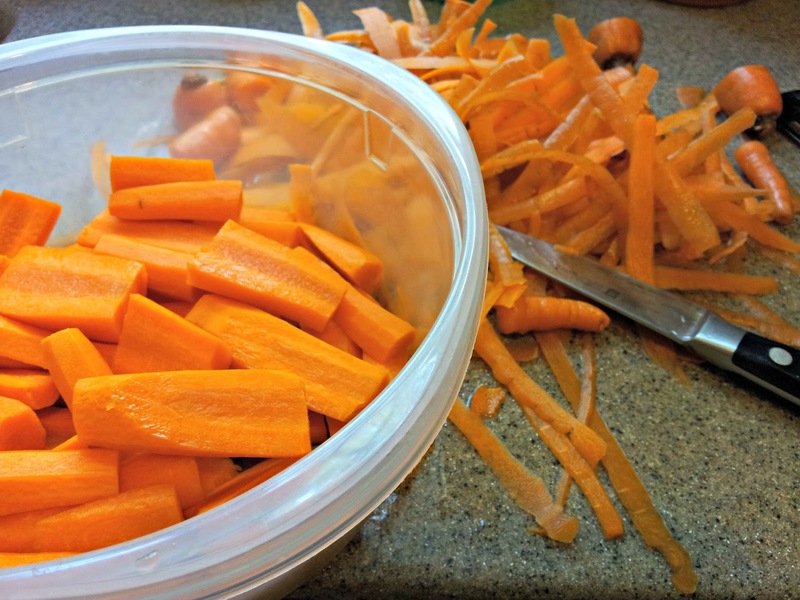 If you are new to this blog, and this post was helpful to you, or if you enjoyed this post, I would love it if you could share it via Facebook, Pinterest, or Twitter. 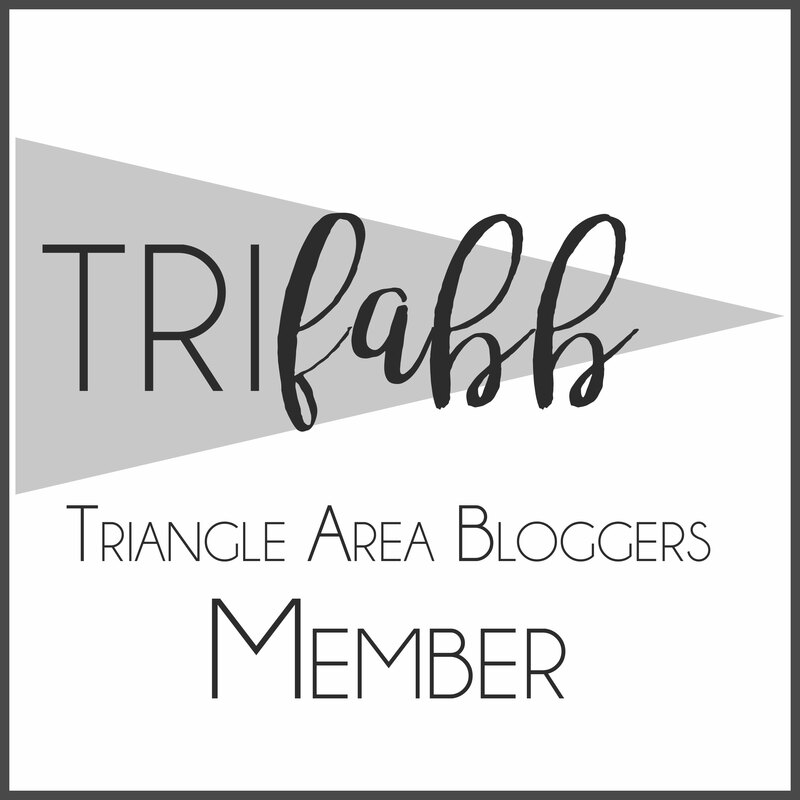 It helps others learn about the Hines-Sight Blog, and it is the only way people learn about this blog since I do not advertise. I also have a Facebook page, and Twitter account, and would enjoy interacting with you there as well. Sometimes I wonder why we even bother to leave the house. Well, I know the answer to that because if we didn’t leave the house, then we would go stir crazy and wish that we had left the house amid all the chaos. So, we leave the house, of course! And then our journey begins. It always starts off so promising. 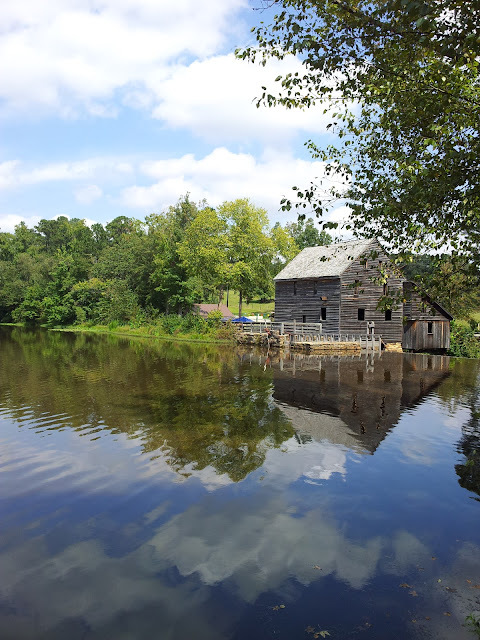 This time, we only went a few miles from home to historic Yates Mill Park for Heritage Day. The weather was beautiful. We could not have asked for a more perfect day to be outside in September. The kids danced to live music by the Sandbox band. We met a delightful woodcarver and even learned how to make soap. We were having good, quality family time. 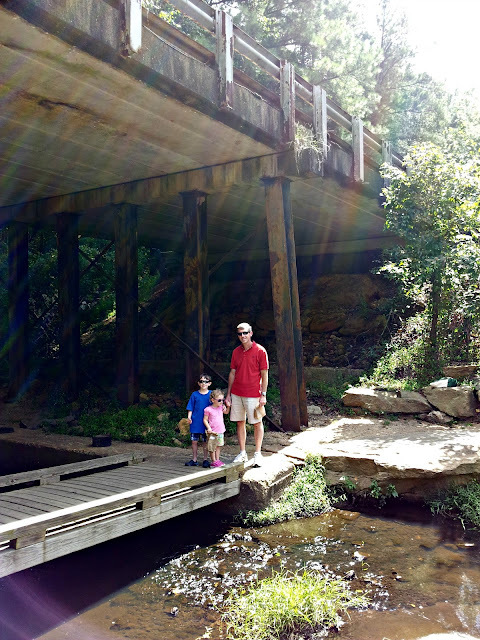 You know the kind of family time that could be seen on a Norman Rockwell postcard. But then, the horrible truth comes out — the times that make you realize the reality of parenting. And it’s no Norman Rockwell postcard. Our son avoided stuff like that like the plague, but my daughter became obsessed. Having her face painted is all she could talk about. But, there was a line. A long line. We did a few other things and came back to the station, but the line was still there, and one of the artists was on a lunch break. The first time we went by the station, there were two. Now there was just one artist working hard to put fairies, butterflies or whatever on a child’s face. By this time, we were hot, sweaty, and hungry. We can be crazy parents, but we weren’t that crazy to wait in the line for our daughter to have paint put on her face only to discover she doesn’t like it and wants it off immediately. That has happened with a tattoo. The 2-year-old pouting began. She sulked. She refused to walk. She fell down. She ran back to the face-painting stand, but we didn’t budge with our decision. We were too hungry to wait. Finally, we get back to the parking lot, and we make another parental decision that really turns this story ugly. We decide to go home for a late lunch instead of getting food from the food trucks. My 6-year-old son, apparently, didn’t like our decision and wanted to invoke veto power. Crying, screaming, and yelling was all we heard for our short car ride home. Our beautiful autumn outing had a not-so-perfect ending. One child was sad, and the other was sent to his room for lack of parental respect. Whose idea was it to leave the house? But, I would like to add that the time we spent there was really great. I’m sure by next week when we go on another outing, I’ll forget how our stories usually end. We have short-term memory loss and hop right back in the car for our next family adventure. Yates Mill served Wake County as a water-powered mill for more than 200 years. Read more about its' history. Anyone want to tag along? I don’t usually talk about fashion on this blog, but I have to share a secret with you. I follow what Kate Middleton wears. I’m not sure why, really, other than I like the classic style that royalty usually embraces. I did the same thing with Princess Diana. Catherine, the Duchess of Cambridge, is a lot younger than me, but her style is so classic that I still feel that it works for my fun-loving-but-in-my-40s self. Even though Kate is now a Duchess, it is nice to know that she chooses to buy a lot of “Off the Rack” fashions that I could purchase in a boutique, but in reality, I still cannot afford the majority of what she buys. And, well, her custom dresses are just for our dreams. It’s no secret that a custom dress made to fit someone’s measurements is usually reserved for the rich and famous. Not ordinary people like me. I have a custom-made dress sitting in my closet, courtesy of a company called eShakti. It wasn't designed for me, but it was made for me. 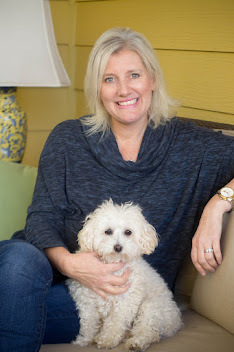 Even though I don’t write a fashion blog, eShakti wanted to work with me and get my thoughts on their product. Honestly, I hesitated. I don’t do a lot of Internet buying any longer because I’m hard to fit. I really have to try on clothes to see how something looks on me. I’m much smaller on top than I am in my hips. My top half wants me to be a consistent size 4/6, whereas my hips want me to be a size 6/8/10 depending on the cut of the garment. Needless to say, shopping is not easy for me, and I don’t really enjoy it, especially on a limited fashion budget. But I’m a girl, and the thought of a new dress was appealing. I took the plunge with eShakti. I ordered before the fall season had debuted. 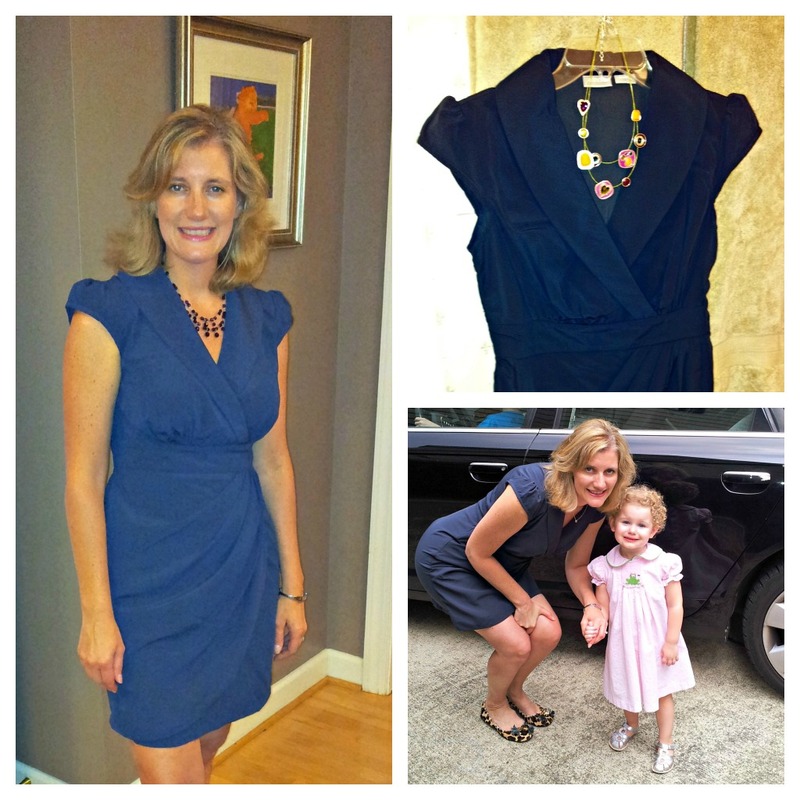 I chose a draped faux-wrap style dress in dark gray/navy. Since I don’t really have fashion vision, I had a hard time deciding what to order because the clothing designs are not on models. I sometimes need a Tory Burch or Kate Middleton-looking woman in an outfit to inspire me. I went with my gut, and chose simple and classic. If you are really good at fashion, choosing a dress would be like a kid in a candy store to you. I chose the custom option on this dress because, as I predicted, my top half wanted me in a size 4 and my hips wanted me in a size 8, based strictly on measurements. I also wanted the dress above the knee because I thought it would make me too matronly at my knee. The dress fit exactly to my body. I don’t think I’ve ever owned a dress that fit that well up top because I have always had to buy bigger to fit my bottom half. The fabric is good quality, well-made for a dress costing under $100. I also like the fact that it is machine-washable. Dry cleaning does not fit my current lifestyle. Do I love it? Not yet. I like it, but I still need to get the right shoes and accessories for it to make me pull it out of my closet. It’s a classic dress that can be dressed up or worn to my son’s school during the day for a meeting, but I need some fall boots, and additional shoes and jewelry. My husband likes this dress better with heels, but I really don't have any currently that works with it. Would I order from eShakti again? Yes, I would. In fact, after this dress arrived, and it fit me so well, I combed the website to see what else they had. I was really intrigued. So there’s my story about how this non-princess felt like a princess just because I ordered a custom-made dress. And, I didn't even have to kiss a frog. Trust me, a custom dress is not just for the rich and famous, but getting one makes you feel like you are royalty. And feel free to send me links to the type of shoes you think I should buy to go with this dress. Jewelry, too. I like wine. Do you? I prefer wine in the fall and winter months, and I tend to navigate toward buying red wine. So, I guess you could say this is my season to look at all the wine labels in the grocery store for a good one. Truthfully, my favorite time to enjoy wine is while I’m cooking. I guess you could call me a sip and stirrer. Here’s the kicker. I don’t know a lot about wine, and I’m guilty of buying a bottle of wine because it has a label that appeals to me. I know. Graphic artists probably love me, but true wine connoisseurs probably want to stick a cork in my mouth for saying that. Sometimes I get good results, and, sometimes, not so much. 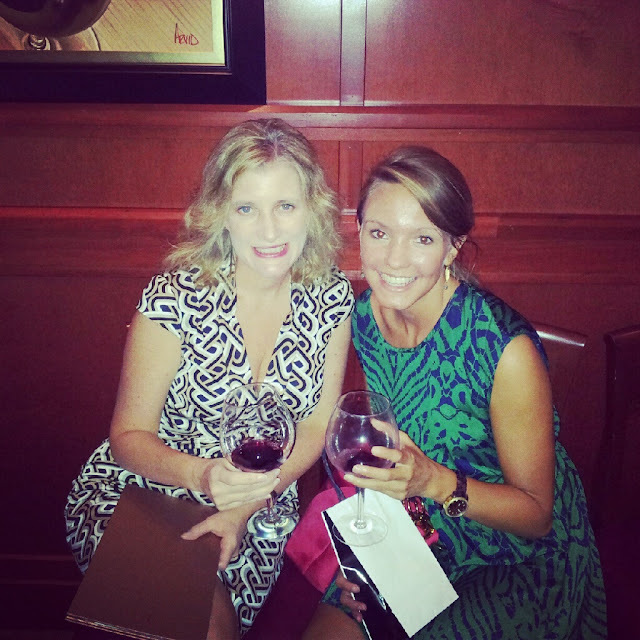 Fleming's Prime Steakhouse "Bottle Wars" wine tasting event this month. 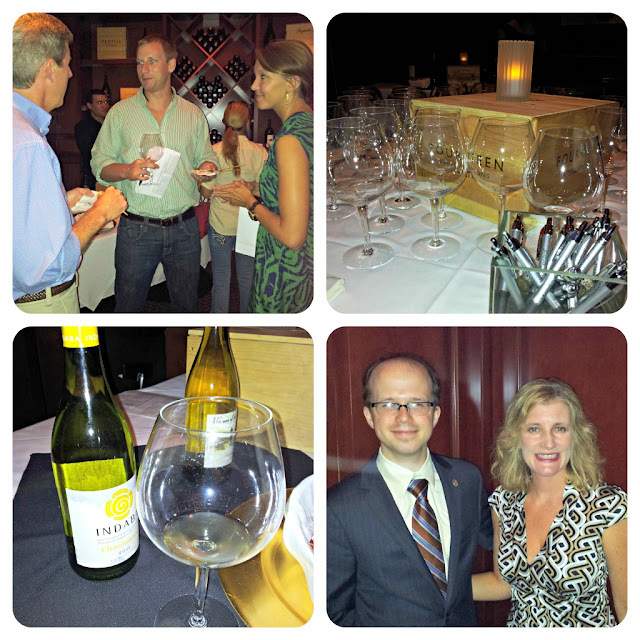 Will and I attended one of Fleming’s Prime Steakhouse and Wine Bar’s “Bottle Wars”wine-tasting events last week. It was so much fun. We participated in the battle of the hemispheres. Charles Leary, my Raleigh Fleming’s sommelier, oversees 100 wines by the glass on any given night. This night, he picked ten wines for us to taste: five from the Northern Hemisphere and five from the Southern Hemisphere. It was great to learn about these wines. My husband and I had totally different favorites. He loved a white wine from the Southern Hemisphere called INDABA, a chardonnay from South Africa. As usual, a red was my favorite. I learned that I like Dave Matthews. Yes, the singer makes wine. 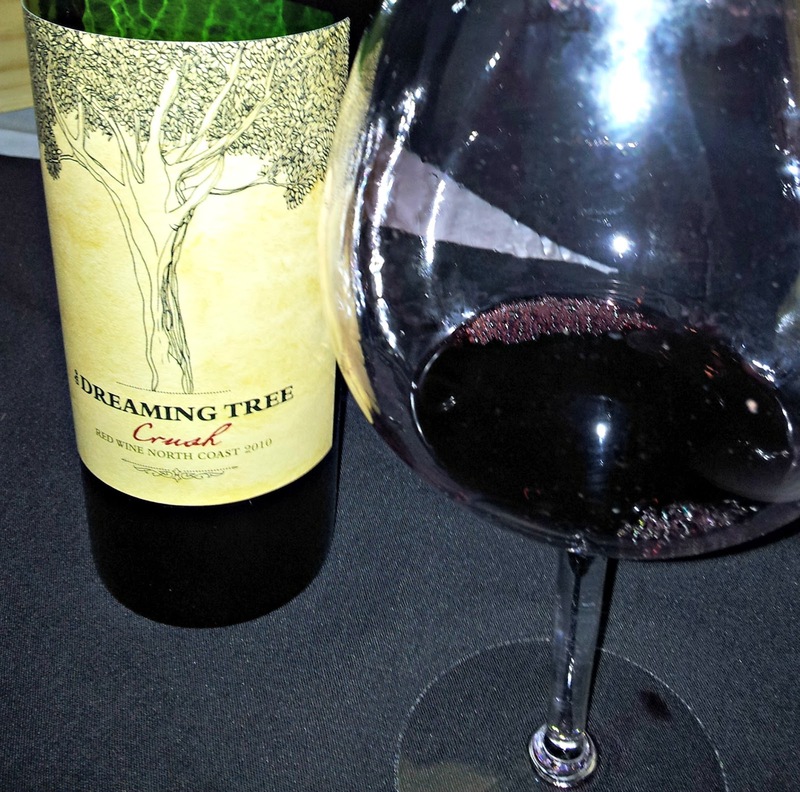 Musician Dave Matthews and renowned Sonoma wine maker Steve Reeder teamed up to create a smooth blend from California’sNorth Coast vineyards. It was my affordable favorite. I’ve done a little research, and it appears the average cost is $15 per bottle at a retailer. I will definitely seek it out on my next outing. The Dancing Tree, Crush North Coast. My overall favorite. I learned that I'm a red blend girl. We had a great time learning about wines. I learned that I’m not a big fan of Cabernet Sauvignon compared to the other categories. I also have a new splurge. The Prisoner Napa Valley was fabulous, but it’s $95 a bottle in the restaurant. It's less if you buy it retail, but still expensive. It cost more than two pairs of children's jeans at The Gap on sale. I think you know where my VISA card has to go. But, on this evening, I went back for some more sips of that one just because I could. An Instagram photo: Tara from our local TV station, "WRAL's Out and About" and I lingered around the red table. Here, I have The Prisoner from Napa Valley and she has its rival, YALUMBA from Australia. She preferred the Southern Hemisphere variety. Here’s what we tried, and I’ll put a star by the ones I personally liked best. Based on my tasting, I left knowing that expensive is not always better. Fleming’s will be addressing that exact topic on the Sept 28 tasting. Friday, Sept. 28 5:30 p.m-7:00 p.m.
What makes one wine twice as expensive as another? And is it twice as good? There are many factors that contribute to price: the cost of vineyard real estate, vine yields, imported oak barrels and winery equipment, famous winemakers and consultants. ... At this event, we'll blind-taste five of the best wine values from the Fleming's 100 against five premium wines that cost twice as much. Will you taste the difference? *All National Fleming’s will be hosting this same event. Cost is $25, and the restaurant serves some great appetizers and chocolates with the wines. Disclosure: I was invited by Fleming’s Raleigh to attend the event as a guest. All wine opinions are my own, and I’m not an expert on the subject. Drink my recommendations at your own risk. All selections are on Fleming’s wine list, and the Fleming’s sommeliers know their wine. Occasionally, I drift from my usual frivolous topics here and use this space to talk about something serious. Today is one of those days because I want to share with you a topic I think is important, and I want to help spread the message. Did you know that Alzheimer’s disease is now the sixth leading cause of death in the U.S. and the only one in the top 10 causes of death that cannot currently be prevented, treated or changed? It’s time we work to change this statistic. I can count on my one hand, at least, five people I know who have been impacted by Alzheimer’s disease in some way. And I’m not just talking about the person diagnosed with the disease. I’m referring to their loved ones. Think about it. Can you do the same? 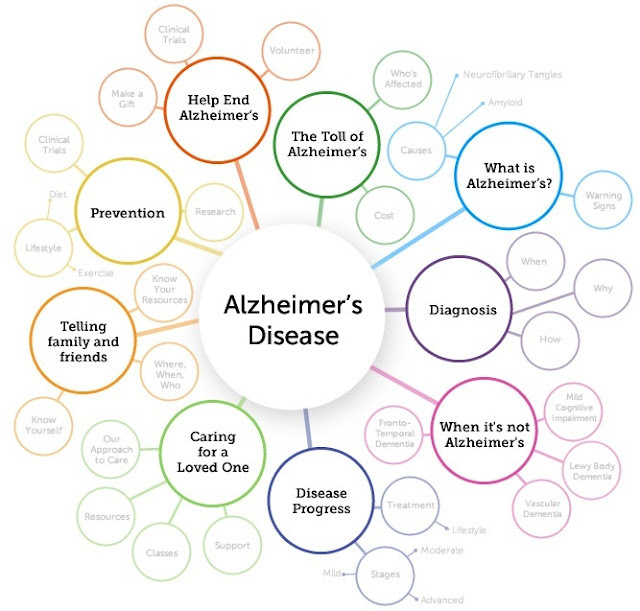 One of the reasons I accepted an invitation last week to attend a webinar from the Banner Alzheimer’s Institute was to learn more about its new prevention registry. I’ll be honest: The thought of my not knowing my husband and children in the future scares me, and the same is true if my husband had the disease. Without knowing much about Alzheimer’s, I wanted to know if there is something I can do to prevent the disease. In a nutshell, I learned the disease needs a lot more research. As with most health-related studies, it’s good to have a heart-healthy diet and exercise. It’s good not to smoke. But there is not really a correlation yet that says food and environment are part of the risk factors. We need to learn more. We do know that research is showing that there are signs of Alzheimer’s years before the actual onset of the disease, which is why it is so important to learn the warning signs and realize that dementia is not a normal part of the aging process. Research has also shown that only 1 percent of cases are actually genetic. People may have Alzheimer’s in their families, but the genetic form is a rare mutation, and it can hit individuals in their 30s, 40s, and 50s. Every day, researchers learn more about Alzheimer’s, but they still need our help. 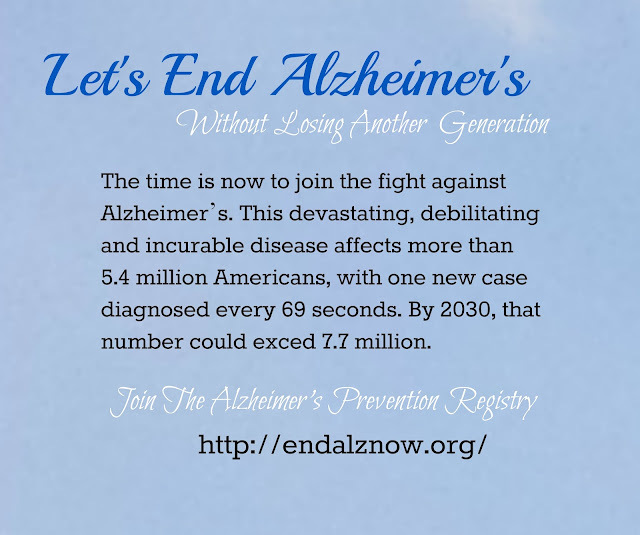 I joined the Alzheimer’s Prevention Registry, and I hope you will, too. The Alzheimer’s Prevention Registry is a community of people interested in making an impact on Alzheimer’s research to help stop the disease. It will provide regular updates on the latest scientific advances and news, as well as information on overall brain health. And to overcome one of the greatest obstacles to clinical research, the Registry will support enrollment into a variety of Alzheimer’s prevention studies across the country. You must be 18 years of age, and your information will be kept private and confidential. 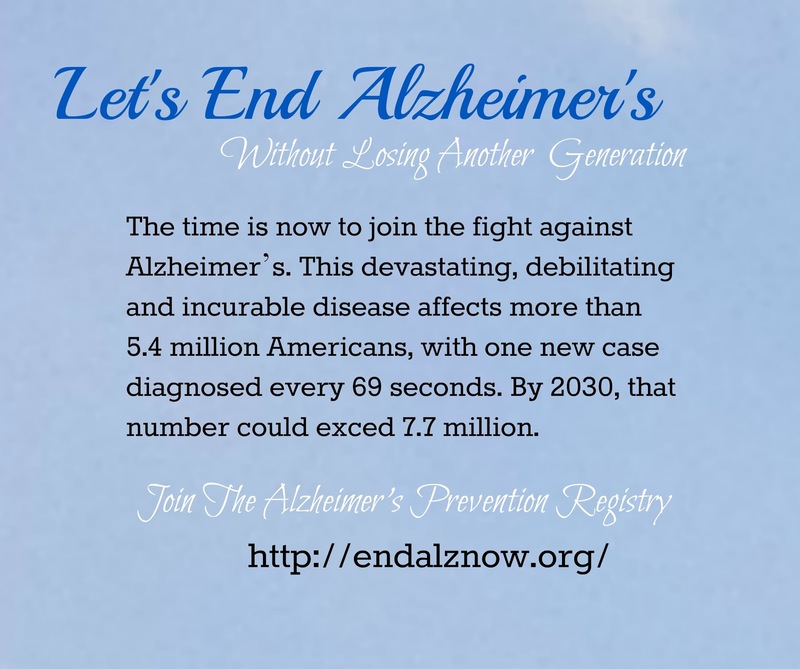 Visit www.endalznow.org to sign up, and join the fight against Alzheimer’s. Being a member of the registry, you may be asked to participate in research studies in your area, but participation is optional. Thank you for your time today. Please help others know about this important effort by sharing with your friends and families. Disclosure: I was compensated for my time to be part of an awareness campaign for the Alzheimer’s Prevention Registry through TheMotherhood. I chose to become a member of the registry on my own and really hope that more awareness can help provide more research into this devastating disease. It’s been a very long time since I took a resort vacation. 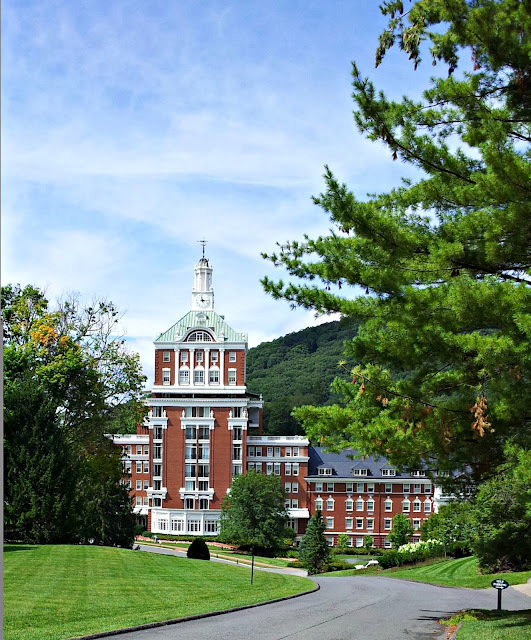 In fact, I don’t know if I’ve ever really taken a resort vacation aside from Walt Disney World, where I stayed on a hotel property the whole time, and never left a resort like I did recently at the grandiose Homestead Resort in the beautiful Allegheny Mountains of Virginia. Before kids, Will and I chose to stay in hotels in cities with lots of sightseeing for vacations, but sightseeing can be exhausting, and you return needing another “vacation” from the vacation. As parents, we are now learning the best way to travel with our kids because, let’s face it, kids change the dynamics of traveling. Our recent stay at the Homestead Resort was the perfect place for us to get back on the saddle and experience a quality family vacation less than five hours away from our home in Raleigh. 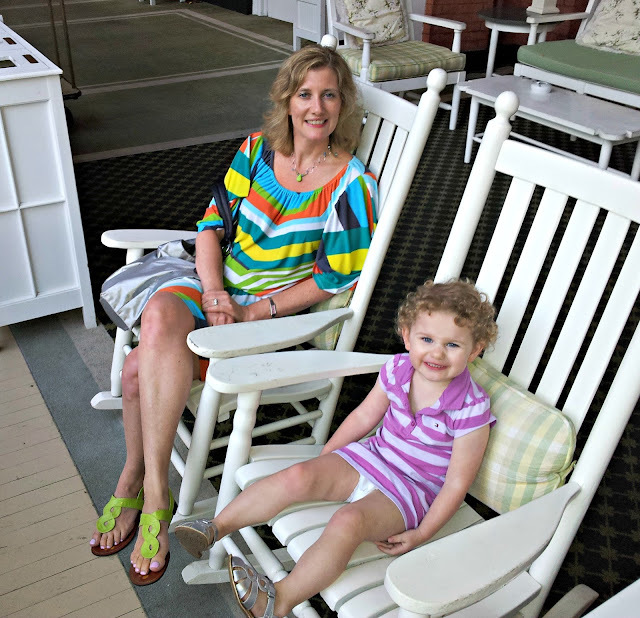 I’m a Southern gal, and The Homestead Resort transports you to a genteel era that takes you back to deep Southern roots. 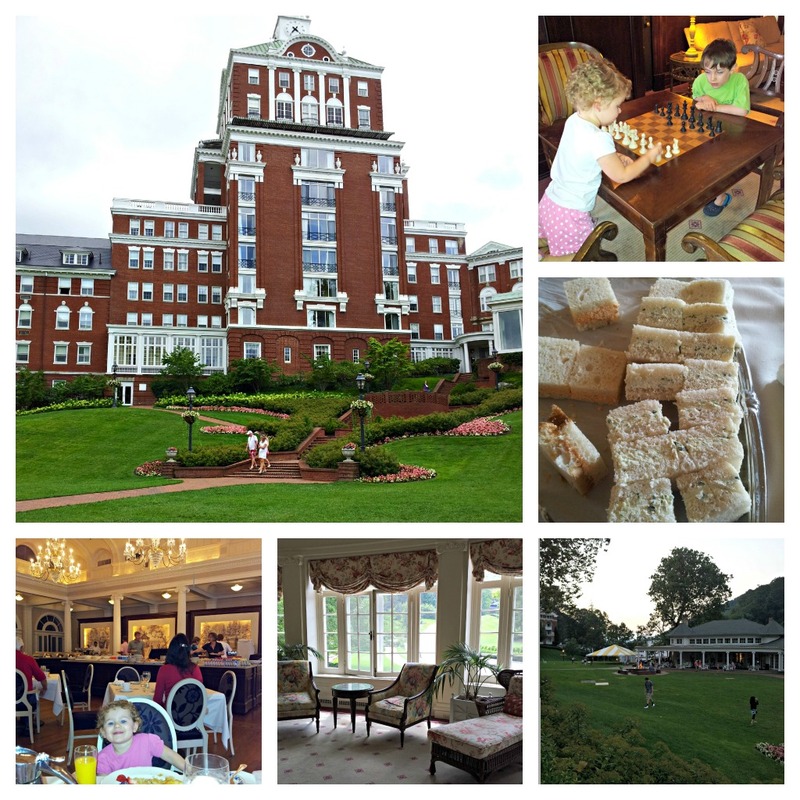 You dress for dinner, you take tea at 3 p.m. if you wish, you dine on white tablecloths, you don’t go through the lobby without a cover-up, and you walk the same halls presidents, royalty, and celebrities have walked in the resort’s 200-plus-year history. It is magnificent! Is it stuffy? Absolutely not, and I cannot emphasize enough how at ease my very casual family felt there. 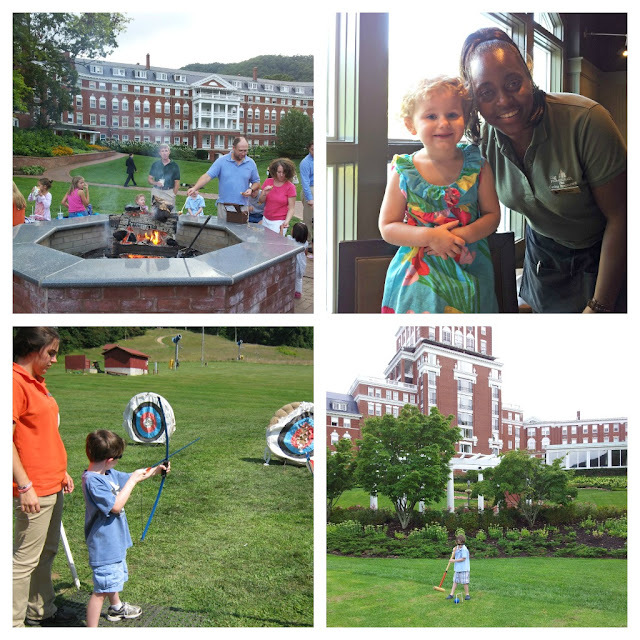 The Homestead Resort, established in 1766, is a very child-friendly resort and offers amazing family activities from golfing, hayrides, and hiking to horseback riding. 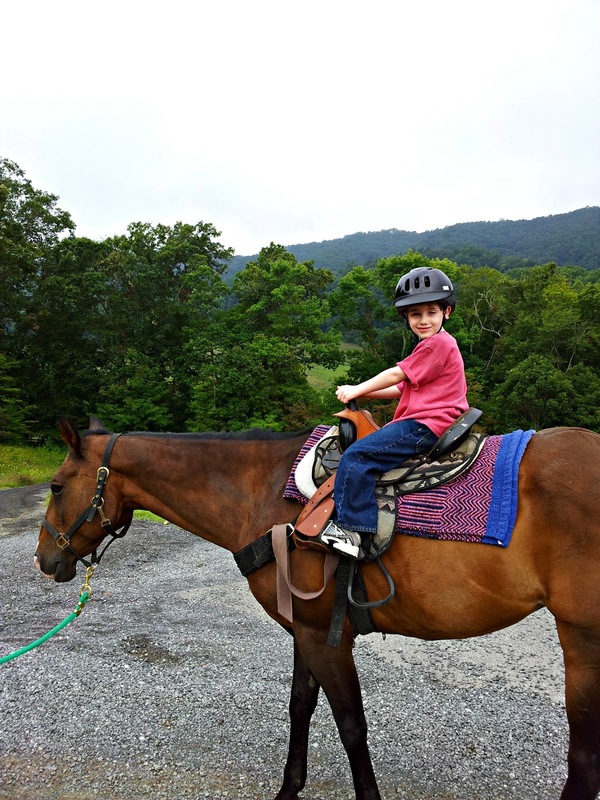 Seeing my son on a horse for the first time was a tear-jerking experience for my husband and me. This resort even has its own movie theatre and shows movies twice a night. In the winter, the resort changes over to a winter playground with skiing, ice skating, and an outdoor pool area that is heated and still ready for use in the frosty air. It’s like a smorgasbord of fun where you can do as much or as little as you like. Being bored is just not a phrase in the vocabulary here. While at the resort, we stayed in a large junior suite, located on the west wing of the property, featuring two double beds. This room had its own porch. With over 400 rooms, the Homestead is huge. We were on the same floor as the grand lobby, shops, dining room, and the casual market, but it’s a good ten-minute walk to these areas, as well as the new Allegheny Springs pool area. I love the décor of our room. 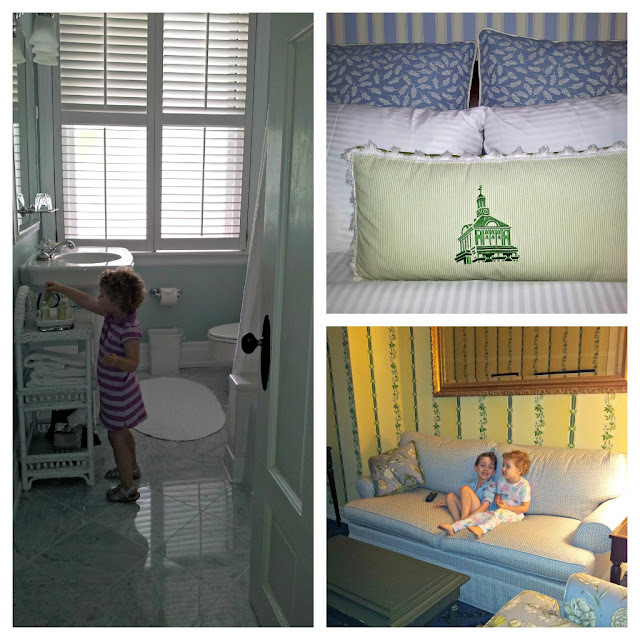 With soothing greens and light blues, I joked that it was the perfect décor for a Carolina girl. 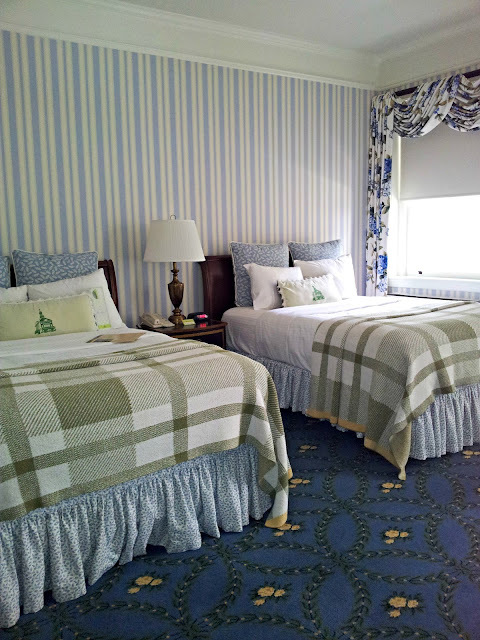 The Homestead is a historic property with a fascinating past, but our room was not aging at all. The old-timey base heating system, window sills, and some paint chippings on the exterior porch were the only reminders we were staying in a structure built over 100 years ago. Our bathroom was medium-sized and pristine clean. With a pedestal sink, there is not a lot of counter space, but our family managed fine. All toiletries are specially made for the Homestead and can be purchased in the hotel’s spa and bath shop. By staying in a junior suite, we had a sitting area with a pullout sofa. Unfortunately, not one of our children wanted to sleep there and instead chose us as bed partners. The living room space was great for us to spread out a little. At night, we would gather with other guests by the fire pit and strike up conversations. We got to know others while staying at the resort. We would see the same families in the restaurants, in the shops, at the resort activities, and at the pools. 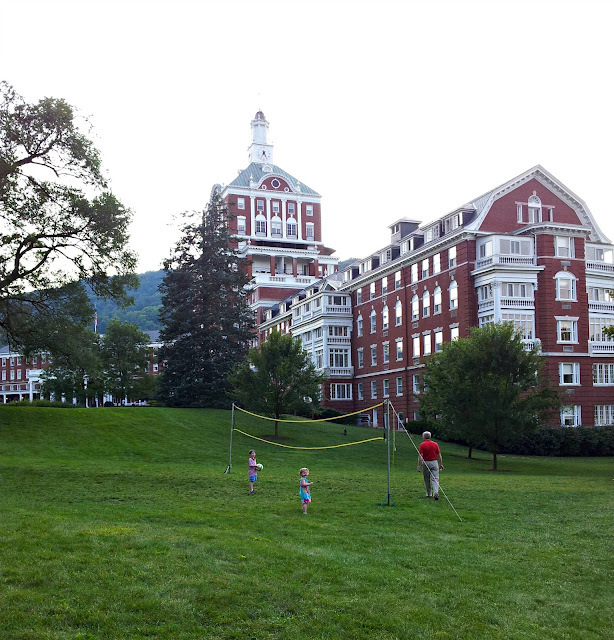 Our kids would play croquet together on the lawn. The dining staff got to know my family as they served us in one of the resort’s five restaurants. It kind of seemed like our home away from home in the few days that we were there, and, in essence, a luxurious summer camp. It was relaxing to be surrounded by the beauty of Virginia’s mountains. The wholesome family atmosphere has me smitten with this stately resort. Like many other families through the years, I would like to return yearly to recapture some of the priceless family quality time we experienced. Although delicious, food at The Homestead is expensive. The breakfast buffet is $27 per adult. The casual Casino Restaurant was my favorite. Sam Snead’s, the hotel’s second casual restaurant, was overpriced, in my opinion. Classic fish and chips may be tasty, but $29 is a lot to pay for tavern food. The hotel offers a MAP plan, with food and tip included at a discounted price and added to your room charge. I would strongly consider this option, or a bed and breakfast package. The resort has exceptional fine dining restaurants on property, but we did not try those with the kids on this trip. 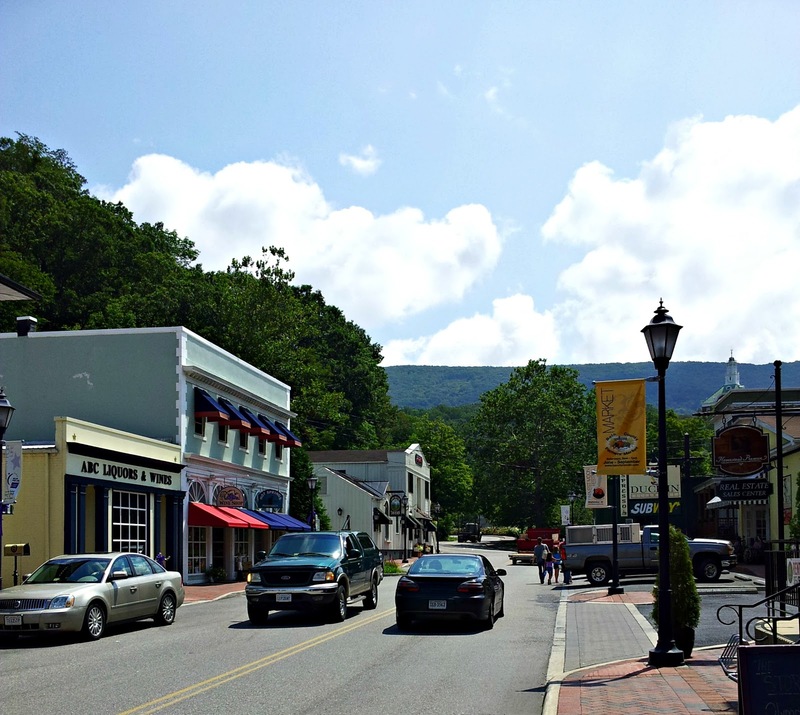 There are a few places to eat in the lovely area of Bath County in addition to the resort, so check that out as well. For lunch one day, we went to the local Subway and had lunch al-fresco on our porch. I saw other families eating Subway sandwiches by the fire pit for dinner. The Homestead doesn’t mind you doing this because dining reservations are always needed at night, and if you don’t make them in advance then this may be the only option you have that evening. Also, Martha’s Market, located off the grand lobby in the hotel, has great quick bites for breakfast, lunch, and dinner. I loved getting a coffee and walking around the grounds. It also serves delicious ice cream at half the cost of ice cream in the restaurants. About two weeks before your vacation, the Homestead will send you a virtual concierge to help you book activities and dining reservations. Don’t ignore it. I saw some guests who were disappointed because activities were full or not available at the times they wanted. It's very simple to fill out your requests, and all reservations will be made for you prior to your arrival. If a new-looking room is important to you, ask for one. Preferred rooms on the west wing were recently renovated. With over 400 rooms in a historic property, renovations are always ongoing. Also in historic properties, it’s no secret that some rooms can be small. The classic rooms are the smallest at the resort at 170 to 220 square feet. Even though they are less costly, that may be cramped for a family of four staying longer than a weekend. Consider booking a package with unlimited activities to save some costs. 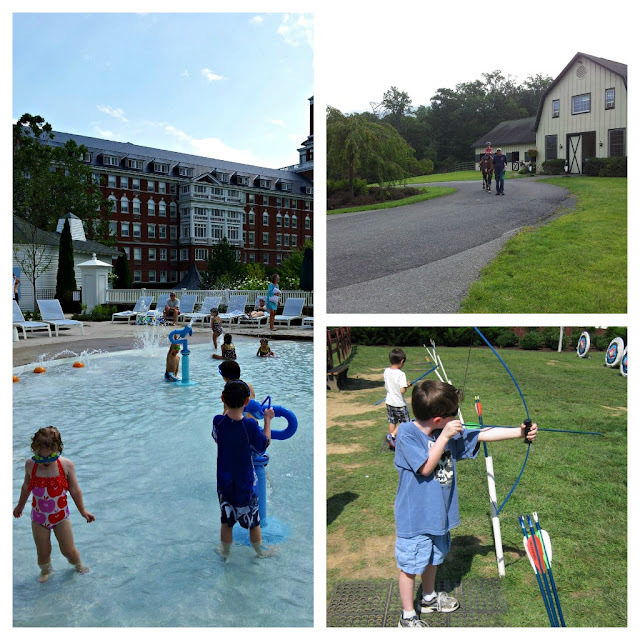 Most activities at the resort, aside from swimming, have costs associated with them. Also, the resort does have a 15 percent daily resort charge, in addition to room taxes, so add that into your travel budget as well. Rates for an unlimited activities package start at $325 for a family, and it includes discounts on kids' club, the spa, as well as other activities. For more on the Homestead, including the tradition of “taking to the waters,” plus some mouth-watering food photos, read my travel features on Skimbaco Lifestyle. Join me on Facebook for more discussion, Instagram for photos, and Twitter for short chats. You can also have my posts delivered to your email. 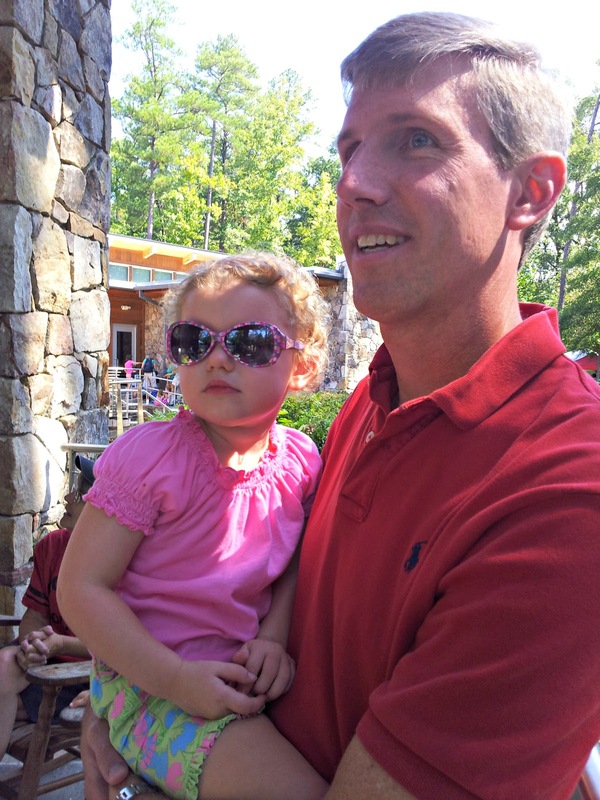 If you found this post helpful, please share so others can learn about the Hines-Sight Blog. Disclosure: I was a media guest of The Homestead Resort so I could feature the resort as part of my “Pack Your Bags” segments. My family did have out-of-pocket expenses while at the resort. As with all of my hotel reviews, these are my honest opinions and are not influenced by the hotel.